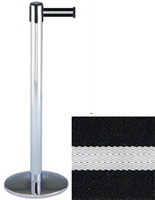 These chrome stanchions with retractable blue belt are an excellent choice for event venues, restaurants and retail stores. 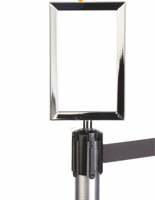 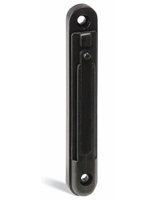 Each of the crowd control stands is made of durable metal with sleek polished finish to match any location. 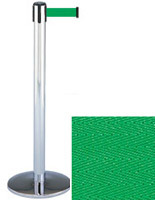 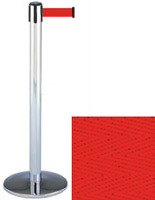 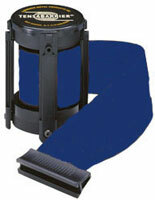 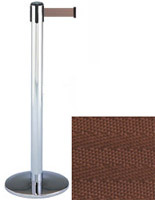 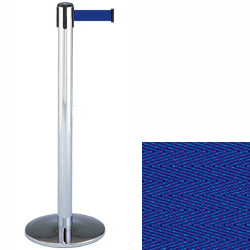 The chrome stanchions with blue belt are made of strong metal with a sturdy round base to keep them upright. In addition, the posts include a 13' long, 2" wide nylon tape that allows users to set up service lines, block entryways or separate areas. The chrome stanchions have a 4-way adapter on top that allows them to connect to up to 3 other poles for forming both simple and complex layouts.